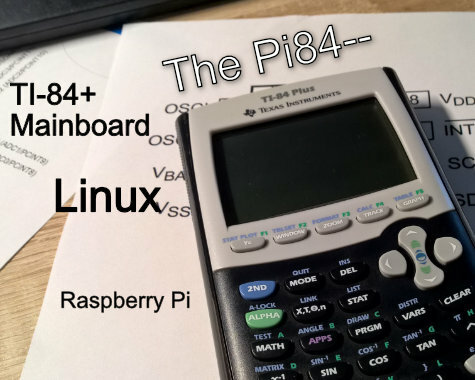 Pi84--, BUILD your OWN Linux-powered TI-84+ calculator! You almost can't differenciate the original from a modded one. It features an ATmega328P-AU Arduino Uno compatible keyboard processor and power management controller and real time clock (to keep the time running, while the Pi is turned off). This will be a two board solution. There will be an upper and a lower board. On the upper board, there is space for fitting a Raspberry Pi Zero (W) and a 128x64 monochrome/grayscale LCD that I would provide. The bottom half of the board (including keypad matrix, RTC, Uno and the Adafruit PowerBoost500 for LiPo operation) will be attachable to the upper board through a few solder links. Therefore you can decide whether you want to provide your own single board computer or if you want to go for a Pi Zero and my preferred, matching LCD. The headphone/Link jack will either expose the Pi Zero's analog video signal plus one GPIO pin or the I2C bus, depending on solder jumper configuration. The Uno is connected to the Pi via SPI and UART. You should be able to reflash the Uno from the Pi, if you disable the Linux console on the serial port. Otherwise, the serial console will be displayed on boot in a serial terminal mode of the Uno. The Uno is also connected to the 128x64 screen and will go into high impendance mode to let the Pi access the screen, once the Pi is booted and ready. 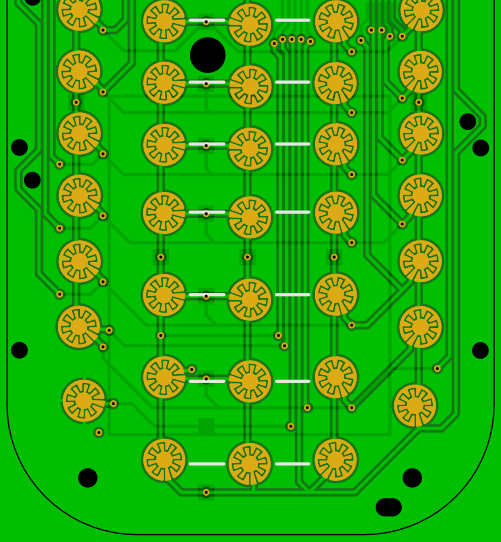 I hope there is demand, and if there is I may offer a kit or the bare PCBs. If someone does not like to solder SMD, I could also offer individual assembly of the boards. There is also need for a good name. Currently I have settled for "Pi84--", but feel free to post any suggestions if don't like the name. From a price perspective, the bottom board with all components (except for the Adafruit PowerBoost 500) may end up costing around 12€. The power boost is available for about 15€ and a matching battery will cost under 10€. 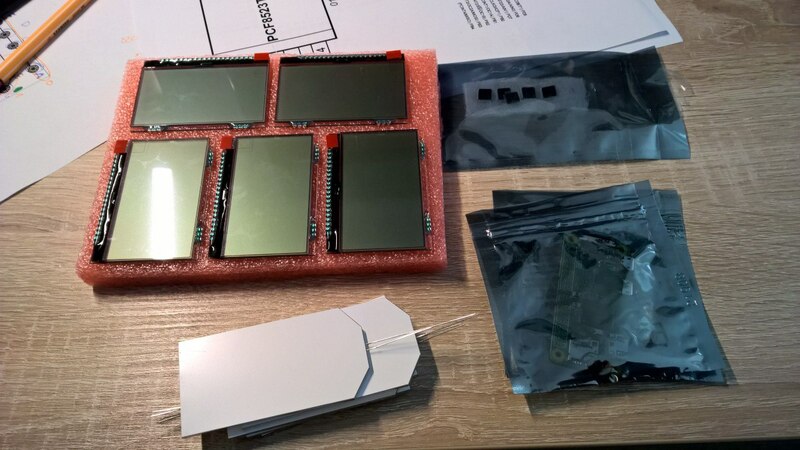 The top board may probably cost around 18€ (not including the Pi Zero (W), but including the screen). Dead TI-84+'es are often available at your school/uni for free or just a tiny fee, if there is a renting program available. 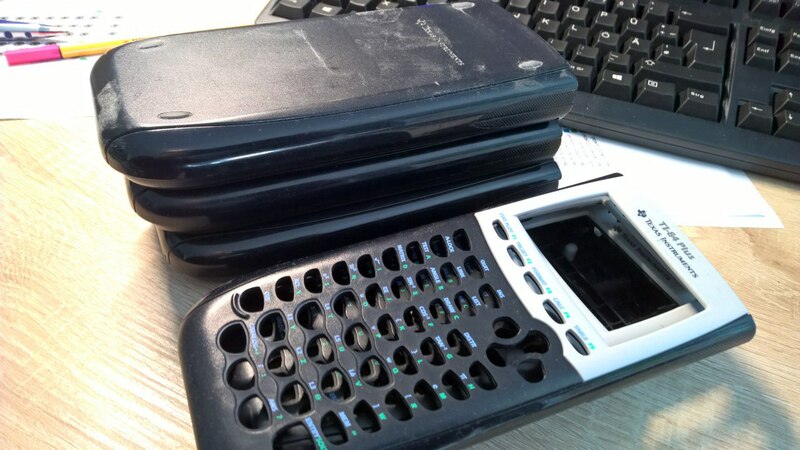 On eBay, used TI-84+'s with a broken screen can be bought for as little as 10€. So, in total, you will probably be paying about 65€ for your own, Linux enabled, fully hackable, state of the art, calculator. Note, that this is the actual, project releated topic, while my original post was posted in another topic here. Re: Pi84--, BUILD your OWN Linux-powered TI-84+ calculator! One big question is, whether it is a good idea to make the mainboard in two halves or not. The big benefit of one unified mainboard is, that it allows me to integrate everything into one nice and working design. There is a lot less to do for the user. In fact, it could be made to a form, that soldering is not required anymore and the user can just open the case of the dead calculator, remove all screws and the original mainboard, remove a few plastic supports with a knife and screw the new one in. Then connect the battery and close the case again. However, this would bind users to the Raspberry Pi Zero platform, which is really nice in my opinion, but makes the project dependant on it. The two board solution would be taking care of this issue and would also enable the user to make boards without the Pi, but it is more advanced. I think I will go for the one, unified mainboard and provide gerber files for just the keypad with the Arduino Uno for those who want just that. I estimate the savings of a 1 board solution vs the 2 board solution to be around 30-40%. Note that the LCD is *almost* as big as the old one. While it fills the screen exactly when it comes to width, it's not quite tall enough. Therefore the is a really slim, barely noticeable, black border on the top of the screen. Another issue I am currently struggeling with is connector placement. There seems to be no room to fit the USB nor the phono jack. Maybe someone has some creative idea, how to mount them? The USB and Video jack issues have been resolved. I have found a slim profile micro USB that will fit with just a minor amount of plastic removal. For the Video, I will be using a simple Dupont header. There is just no space for any "real" connector except for maybe some kind of coaxial one. This looks pretty cool, I'd like to see how it turns out! A backlight is also not completely out of the question. I may consider adding right angled SMD LEDs to the side of the screen, if I can afford that in terms of space. 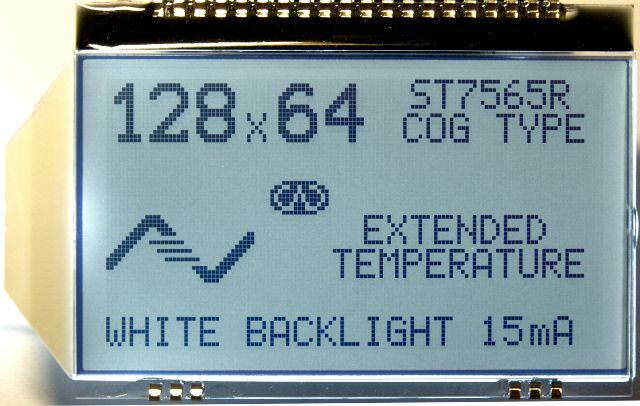 I have received diffusion film along the LCDs so I could add a backlight if I wanted to. I have been rather busy recently, so there has not been a lot of progress, but the coprocessor is now almost completely wired up. This is a pretty neat project. If I were to get one it'd have to be either pre-assembled or I'd have to get someone to put it together for me as I have zero soldering experience. Also, I know it'd cost more, but I think a higher res colour screen would be a nice option to have. Thanks. I am going to offer hand assembly for those who are interested for a fee. Don't worry though. I am not going to charge much. But, I was considering donating one hand assembly as a contest price to boost activity here a bit. The winner would still have to pay for parts+shipping though. About the color screen, I have heared that a few times now. But this would mean starting from scratch and would also greatly increase power consumption and most importantly the price. Nice little project. I've been meaning to try and build my own handheld myself, but I'm not even sure what kind of design I want to go for. I've considered Cortex-M devices, running custom software or possibly something like Tock, or implementing a retro architecture like a z80 or a 6502 on an FPGA and programming on top of that. Anyway, best of luck. I hope this doesn't end up like the microcat did. You're aiming for something much more within your reach this time so there's no reason why you shouldn't succeed. Page created in 0.481 seconds with 46 queries.